We are serious about the security of your home and business. That’s why we designed ourfree security survey specifically to help you understand what can be done to boost the overall security of your home or business. What are the benefits of taking a free Security Survey? Having effective security measures in place really can make all the difference in preventing burglaries and helping you to feel safe both at home and at work. The survey will be carried out by a fully qualified Master Locksmith and will identify any areas of concern. Our professional locksmith will then talk you through the findings and suggest practical ways to increase the security of your property. Since we only use top brands and our Locksmiths are all CRB accredited, you can be sure that all of our work is up to the highest standard and will comply with your insurance policy in the event that you might one day need to make a claim. Get in touch today on 07947 426 981 to arrange a free security survey at a time that is convenient for you. As promised, the report is totally free, you only pay for any work that you request us to carry out afterwards. 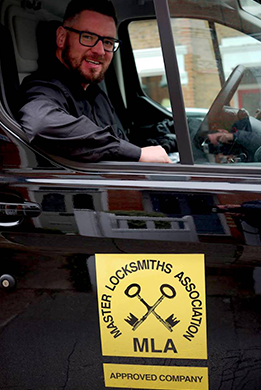 Our mobile locksmith service operates across London, South Hertfordshire and surrounding areas. Call us on 07947 426 981 for your free security survey today.